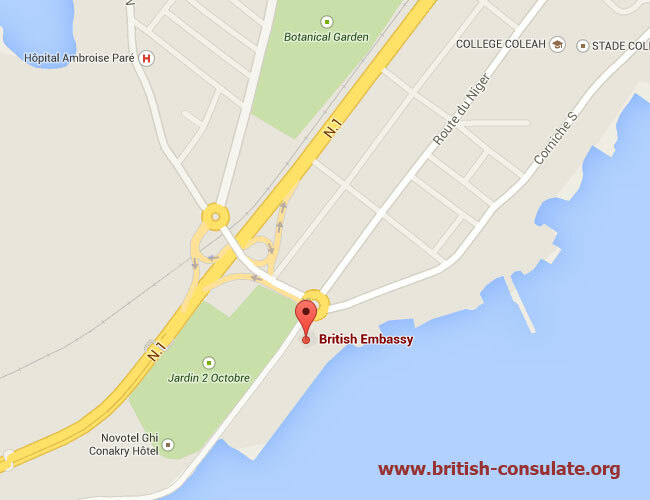 Note that the British Embassy in Guinea does not manage visa applications. You can contact the Embassy for advice on marriage registration or seeking consular assistance such as registering a birth while abroad or registering a death abroad. We had added the contact details for the Embassy which is located in Conakry. Note the map and telephone number with the email address. For emergency assistance, such as in the event of the death, assault, arrest or hospitalisation of a British national in Guinea, call +44 (0)1908 516 666 and follow the instructions to be connected with consular officers. If you are calling from the UK about a British national in Guinea, call our Consular Assistance Team in London on + 44 (0) 207 008 1500.